Sharp announced its first OLED smartphone, the AQUOS Zero with a 6.2-inch, WQHD+ (2992 x 1440) resolution, Snapdragon 845 OCTA Core CPU, 6GB RAM, 128GB member storage, no SIM slot, and 3130mAh battery size. Sharp emphasized that AQUOS Zero is very competitive in terms of form factor. AQUOS Zero weighs only 5.43oz (146g), which is same weight as an iPhone 8 with a 4.7-inch LCD display model. Which is being produced at Sharp’s Sakai, Japan Gen 4.5 flexible OLED pilot line. The company has converted parts of it Sakai LCD lines to a small R&D line (Gen 2.5) and the Gen 4.5 pilot line mentioned, and is expected to build two Gen 6 flexible OLED lines in Sakai and Zhengzhou, China, with the latter being built at an existing Foxconn plant in that city. The Gen 4.5 Fab has a reported capacity of only 2,000 substrates/month. The Sharp pilot line should be able to produce 100,000 unyielded 6.2” displays/month, but yields will start out low pushing the yielded display to 50 to 60K/month. The Sakai Gen 6 line is expected to begin production in December’18, will have a raw capacity of 825K 6.3” display/month. 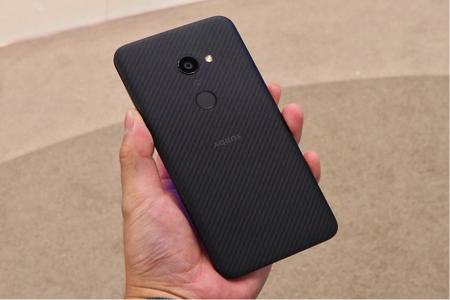 Sharp has been selling a relatively small number of smartphones on a quarterly basis and Aquos Zero is only one of 10 models that Sharp has available for sale. Typically pilot line production costs are higher than full mass production lines, so Sharp’s display selling price should decline when the 6thGen fab ramps up. 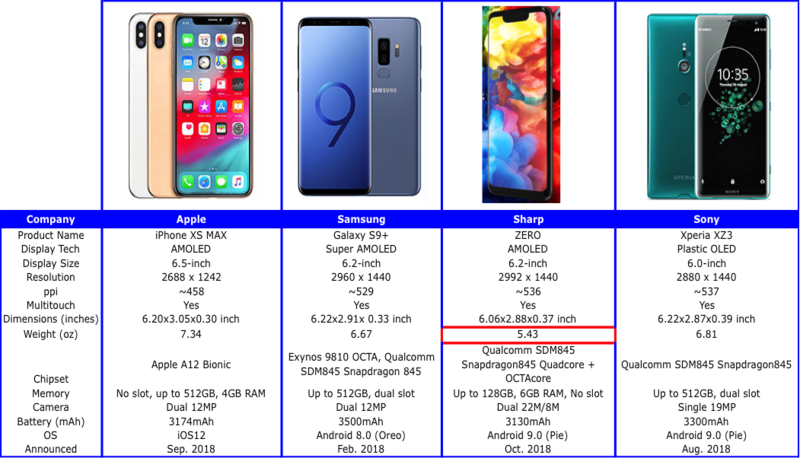 Foxconn has a branded smartphone line under the name InFocus, and would be a potential Sharp OLED display customer, but Foxconn has always limited the growth of its brand in order not to compete with its assembly customers, who include Apple and others. The InFocus brand sells ~300,000 phones/quarter. 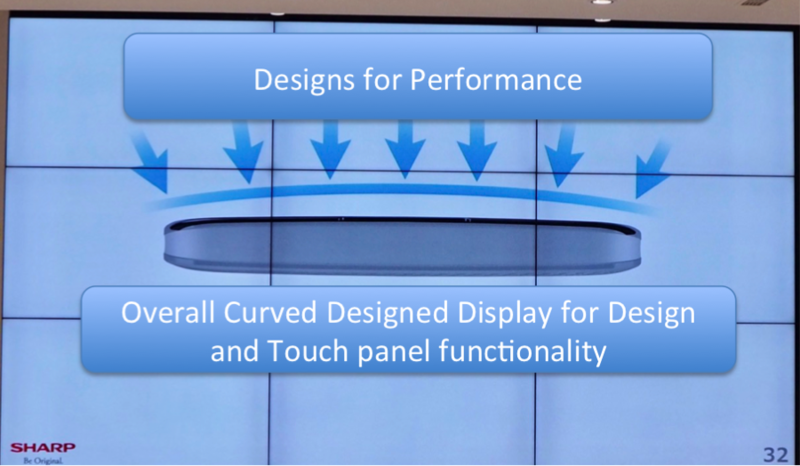 Sharp’s initial foray into OLED display design and production is for their own use, their ultimate goal is to be able to be a major supplier of displays to Hon Hai/Foxconn customers, so there is significant logic behind the Sakai and Zhengzhou fab construction, but they remain behind Samsung, LG and perhaps BOE as suppliers to Apple.